I just love the Easter season because of the colors it brings to our home. Pastel and rainbow colors brighten up every room. 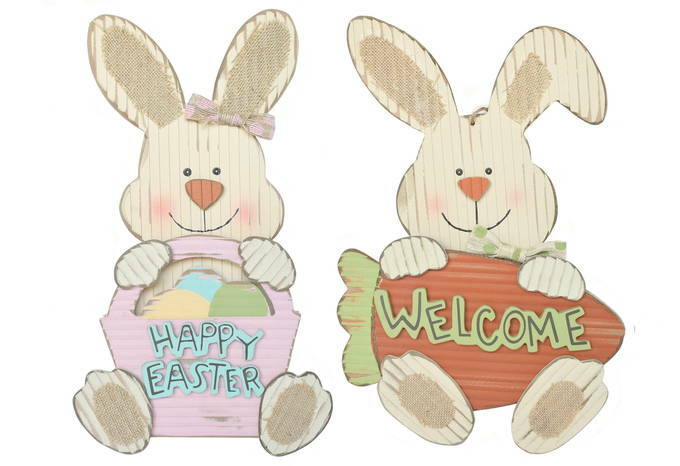 Here are some beautiful, fun, and colorful Easter decorations. Wouldn’t a child be thrilled to find one of these speckled metallic eggs?! 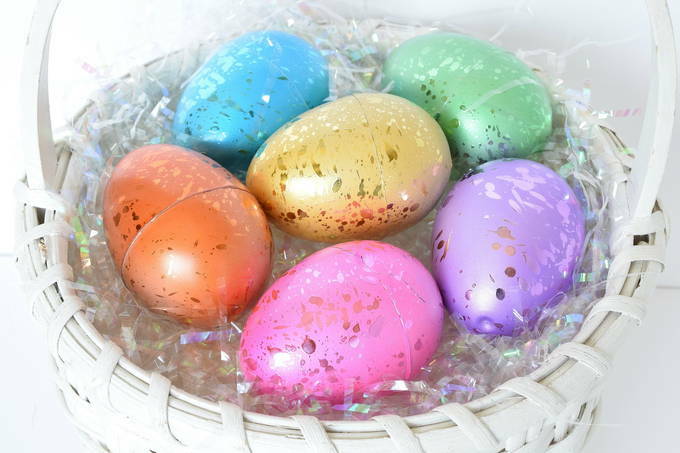 I love the bright colors and metallic shine on the eggs. And with a little imagination, they could be “dinosaur” eggs. Of course, you can fill the eggs with candy and hide them outside. Our kids still love to hunt for Easter eggs. They’re three inches long – larger than normal plastic eggs. And they come in a package of 6. 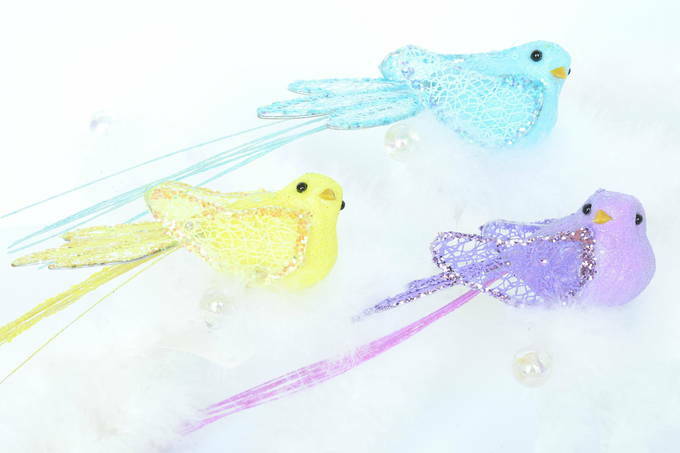 Aren’t these clip-on birds just stunning? They have metallic glitter on their wings. They were available in three colors, but I wish they had a pink one too. They are 5” long (9” long when you add in the plume). This yellow flower tugged at me. I think they have a pink one and a blue one too. It’s 8½” tall. Love, love these two bunnies. They’re so happy and friendly. I liked their vintage/rustic look. It would be nice to have a whole family of these. They’re both pretty big at 2 feet tall. 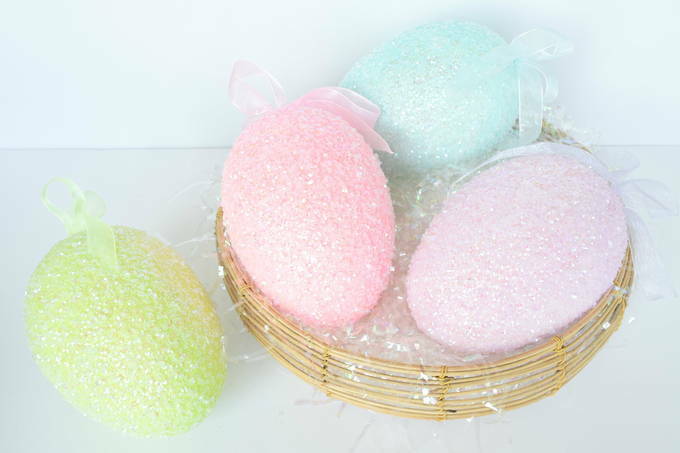 These large glitter and sequined eggs are incredible. They’ll nestle in nicely on my fireplace mantle. They were available in four colors – green, pink, blue, and purple. And they are 4 x 6” in size. These precious bunnies are made of a very soft felt. They have wires in their ears so you can arrange them. 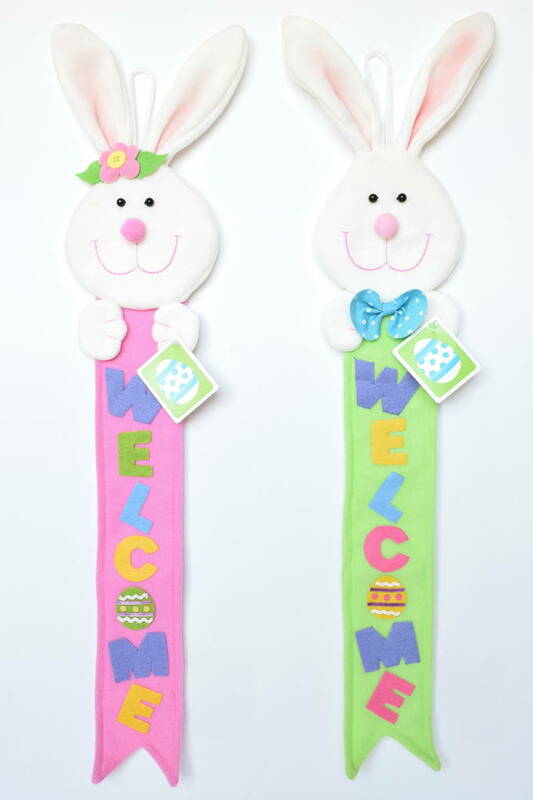 They’re 2½ feet long, while bunny’s face is 5” wide. 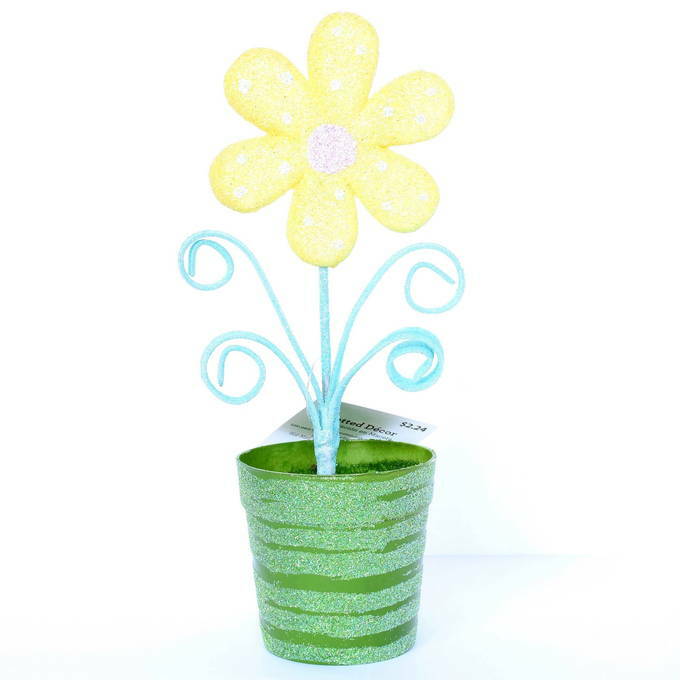 Bright colors, sparkle, adorable – that’s what I want my Easter decor to look like. I hope you like my special Easter finds.